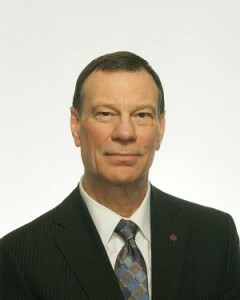 Peter Morris began his insurance career as a broker in London, Ontario. Since leaving the brokerage, Peter has worked in the insurance, reinsurance and service-provider sectors where he has held roles of increasing responsibility in underwriting, sales, branch operations, and senior management. In his current role, Peter provides consulting services to the property and casualty insurance industry in the areas of brokerage management, brokerage mergers and acquisitions, expert testimony, and professional recruiting. Peter holds a Principal Broker (Unrestricted) license from the Registered Insurance Brokers of Ontario. In addition, Peter has earned his FCIP designation (Underwriting Major) from the Insurance Institute of Canada; a Certificate in Continuing Education from the Insurance Institute of Canada; a Canadian Risk Management Diploma from the Canadian Association of Risk Managers; and a Masters Business Administration degree from Heriot-Watt University, Edinburgh, Scotland. In addition, Peter has an undergraduate degree in Radio and Television Arts from Ryerson University, Toronto.